Halifax’s Broad Street Plaza leisure complex has unveiled a new brand identity and advertising campaign after working with The Wrapped Agency. 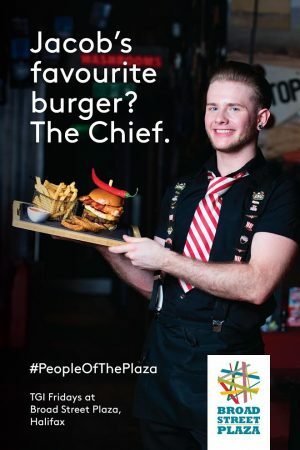 Billboards across Halifax will feature striking images of employees and customers of Broad Street Plaza, which is home to operators Vue, Pizza Express, Wetherspoons, TGI Friday’s and Pure Gym amongst others. The decision to rebrand follows the 2016 acquisition of the complex by Palace Capital plc. As well as a full rebrand of the Plaza building, the ‘People of the Plaza’ idea will run throughout 2017 in press, broadcast, outdoor and online. Locals are also being encouraged to get involved on social media by tagging their favourite Broad Street Plaza stories with #peopleoftheplaza. Rachel Clark, brand and PR Director at Wrapped, said: “Broad Street Plaza is a destination for those who live and work in and around Halifax and we wanted to create a brand and campaign that boosted a sense of community locally.